The String Cheese Incident (abbreviated SCI), is a jam band from Crested Butte and Telluride, Colorado formed in 1993. The band was composed of Michael Kang (acoustic/electric mandolin, electric guitar, and violin), Michael Travis (drums and percussion), Bill Nershi (acoustic guitar, lap steel guitar, and electric slide guitar), Kyle Hollingsworth (piano, organ, Rhodes, and accordion), and Keith Moseley (bass guitar), and, in 2006, Jason Hann, an auxiliary percussionist. Their music is strongly influenced by bluegrass sounds, as well as forays into rock, calypso, country, funk, jazz, Latin, reggae, and occasional psychedelia. SCI has been described as a democratic ensemble rather than a band, since all of the members contribute their own original compositions to the group's burgeoning library and share vocal duties on a number of cover versions as well as their own songs. If a de facto leader had to be named, such a title would probably fall upon Nershi, who is responsible for the bulk of the group's original song library. According to the band's website  "After summer 2007, Billy Nershi is leaving The String Cheese Incident to pursue other musical projects." Although many rumours exist, the source of the band's name has not been officially disclosed to the public. After a few years of playing local ski resorts and private functions, the band agreed that it was time to get serious with regard to their music, and formed the independent record label SCI Fidelity, on which they released their first album, Born on the Wrong Planet. At this point in their careers, the band displayed the motivation to play strong, melody-driven music that allowed room for live expansion and improvisation. Instrumentals and covers constituted half of the album, allowing much room to display musical virtuosity and even a little in the way of lyrical chops. Many time-tested fan favorites that were spawned from this disc are still in the band's regular live rotation, including "Black Clouds," "Land's End," "Texas," and "Jellyfish." 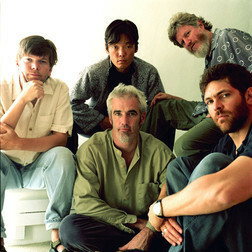 Less than a year later, SCI released a compilation of ten songs, including "Land's End," on their self-titled live album A String Cheese Incident, which chronicles a single concert from the Fox Theatre in Boulder, Colorado and adds pianist Hollingsworth to the ensemble (he was not in the band during the recording of Born on the Wrong Planet). Despite spanning only one disc and containing only ten tracks, the album clocks in at 72 minutes even (thus, with an average track length of 7:12, displaying their propensity for extended jams), and is widely considered the best CD for new converts to listen to in order to become acquainted to the band's live sound. 'Round the Wheel, released in 1998, refined the band's sound and displayed a marked increase in both musical and lyrical maturity, and added Paul McCandless as a guest player on soprano and tenor saxophone and Tony Furtado on Banjo, but did not earn them quite the level of notoriety that they would achieve in the next millennium. From 1998 through 2001 SCI toured the country extensively and steadily, playing over 500 "Incidents" in hundreds of cities. In 2001, with the help of guest producer and Los Lobos member Steve Berlin, they released their third studio effort, Outside Inside. This album marked a shift from the band's traditional bluegrass leanings to a more standard rock sound, thus making it the most accessible album to a mainstream audience to that point. The band did not completely abandon its bluegrass roots, however, sneaking in the short three-minute track "Up the Canyon" at the end of the disc, which has become one of many live favorites along with "Rollover," "Close Your Eyes," and others. On August 6th, 2003, the band's own ticketing agency, SCI Ticketing, filed a lawsuit against Ticketmaster for violations of the Sherman Anti-Trust Act. After spending years fine-tuning SCI Ticketing's customer service and software, and rising the entertainment ranks to play large venues, the band wasn't about to settle for only selling 8% of their tickets, as existing contracts between Ticketmaster and nearly every major venue in the United States stipulated. Like Pearl Jam, a band which unsuccessfully tried to convince the U.S. Department of Justice to launch an investigation of Ticketmaster in the mid-90's, SCI Ticketing felt that Ticketmaster's service charges were too high and that it had monopolized the concert ticketing industry, using its immense market power to prevent competition for the sale of concert tickets. The settlement between SCI ticketing and Ticketmaster was not well publicized. The outcome was favorable enough for SCI to stay in the ticketing industry, though their company name was eventually changed to Baseline Ticketing, and the band occasionally attempts to avoid booking "incidents" with Live Nation, formerly Clear Channel Communications. In October 2003, SCI released their fourth studio album, Untying the Not. UtN is indeed a strong deviation from their previous rock and bluegrass sounds and shows heavy influence from guest producer Martin "Youth" Glover, formerly of the band the Killing Joke. Untying the Not is much darker than the band's previous lighthearted studio releases, full of minor keys and introspection on topics such as death, which are most evidenced in the tracks "Elijah" and "Sirens." It also shows significant evidence of the band's recent habit of introducing techno and trance elements into the mix, such as on the track entitled "Valley of the Jig", which is a fusion of techno and bluegrass stylings. In the summer of 2004, the band was invited to tour with the Lollapalooza caravan by Jane's Addiction bandleader Perry Farrell, and would have received the distinction of being the first jam band to travel on the Lollapalooza bill. However, due to poor ticket sales and lack of enthusiasm, the festival was canceled and their summer tour was re-routed. In June 2005, the band released their fifth studio album, entitled One Step Closer, containing thirteen original tracks with guest songwriting collaborations. In 2005, the band also welcomed percussionist Jason Hann. The album was produced by Malcom Burn at a studio in Boulder, Colorado, where the band is based. One Step Closer was a return to the more roots-based music of earlier String Cheese Incident fare, while still retaining some of the pop sensibility of previous studio albums. Through Madison House Inc., the company that manages and books SCI along with many other acts such as Keller Williams, the band organized a traveling festival tour across the United States. It took place in the summer of 2005, and was titled the 'Big Summer Classic'. A range of similar artists took part in the festival, including New Monsoon, a promising new seven-person ensemble opened the tour, and acts such as Umphrey's McGee, Yonder Mountain String Band, Michael Franti & Spearhead, and Keller Williams. The band avoided big venues, and played in medium-size outdoor venues, such as minor-league baseball parks. In 2005 the band returned to their roots: playing shows at the base of ski resorts, summer festivals, smaller venues, and touring throughout the US. Band members announced to their fans that the band would take a break from touring in early 2006, They recommenced in the summer of the same year to play several co-headlining shows with Bob Weir's Ratdog including a sold-out two-night run at Red Rocks in Morrison, Colorado and a set at the 10,000 Lakes Music Festival in Minnesota with well known acoustic artist Keller Williams. During sets played with Keller Williams, they refer to themselves as the Keller Williams Incident. The band played at the annual Vegoose festival during the 2006 Halloween weekend. On November 3, 2006, it was announced on the Band's website that after summer 2007, Billy Nershi is leaving The String Cheese Incident to pursue other musical projects. There will be only a limited number of shows between now and then. Presently, there are no plans for The String Cheese Incident beyond summer of 2007. The band has announced a few shows for 2007, including their annual Winter Carnival (sans 2006), which stops in Denver and Vail Colorado, and an appearance at the Bonnaroo Music Festival as well as the 10,000 Lakes Festival. The band will conclude their reign among the jamband leadership circuit and ride out into the sunset with a series of shows at their favorite places (New York, San Francisco, Oregon) culminating with a last blowout at Red Rocks Amphitheatre during August 9th-12th. While it is unlikely that SCI will continue on in its current form, the remaining members will likely continue to collaborate in future endeavors. The band had re-recorded their song "Close Your Eyes" in Simlish, the native language of The Sims to be in the 5th Expansion Pack - Seasons. All members were present at the Rothbury Festival performing with their respective solo projects. The Kyle Hollingsworth Band and EOTO performed on Thursday, Panjea with Michael Kang and Keller Williams featuring Keith Moseley performed on Friday, and the Emmitt-Nershi Band performed on Saturday. Rumors were circulating among the festival-goers that String Cheese Incident would reunite and perform on Saturday night ... The rumored set wasn't performed.